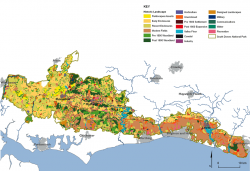 Map 2.5 The historic landscape character ‘types’ within the South Downs National Park | Maps prepared by: GeoSpec, University of Brighton; February 2012. 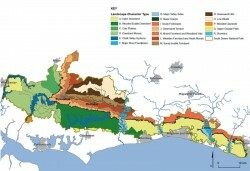 | Source: South Downs National Park Landscape Character Assessment, South Downs National Park Authority, 2011. | Ordnance Survey Crown Copyright © Licence No. 100050083. Landscape is more than scenery or a backdrop to our lives – it links culture with nature, and the past with the present. The landscapes of the National Park have been formed by the interaction of both natural factors such as geology, landform, soils and biodiversity; and cultural factors such as farming, land use, settlement patterns and other human activities. 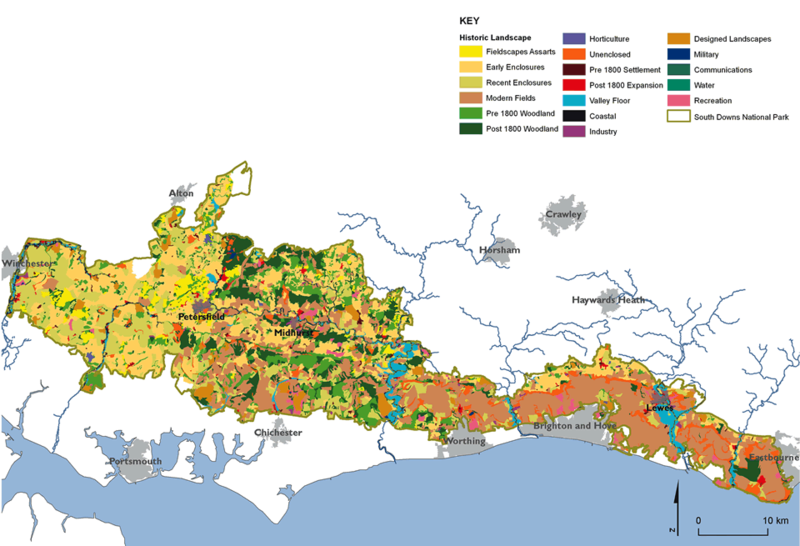 These factors have resulted in the National Park’s distinctive and diverse landscapes. The resulting landscape ‘character’, and the ability to read the record of past activity in the landscape of the present, greatly influences the value we place on landscapes. Landscape is also important in terms of the benefits and services it provides us with, such as food, wildlife and clean water. It also helps to shape both our sense of place and of community. To the east the open downland culminates in the spectacular chalk cliffs at Seven Sisters and Beachy Head, giving stunning panoramic views to the sea and northwards across the weald. The chalk ridge, which is further sculpted by steep coombes and dry valleys and is cut through north to south by four major river valleys, extends westwards with steep north facing escarpments and gentler south facing dip slopes. This more westerly downland is more expansive, wooded and enclosed but no less impressive. 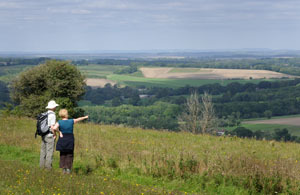 It merges into the Hampshire Downs with their own dramatic east-facing escarpment to the west of Petersfield. The National Park has a rich and complex landscape character, with significant local variation and contrast. The South Downs Integrated Landscape Character Assessment (2005) provides the most current assessment within the area, highlighting this diversity by recognising 18 landscape types and a further 49 place-specific ‘character areas’.